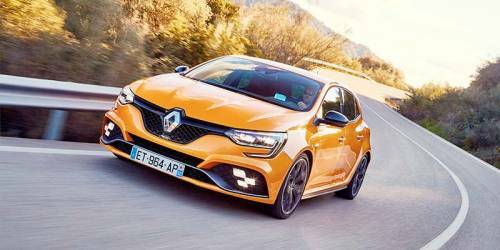 The new Mégane RS is a small revolution. Four-wheel steering, automatic gearbox, four-door only. But is it any better? I tried to juggle my press car schedule in a way that I would drive the Hyundai i30N and the Renault Mégane RS one after the other. These two hot hatches dice for the same target clients and whereas one is a newcomer, the other has been the ruler of the segment for almost a decade. A front-wheel drive hot hatch is a wonderful thing. There’s a small(ish) turbocharged engine producing anything between 200 and 300 horse power, usually a manual gearbox, a chassis capable of dealing with all the twist and turns thrown at it and all the practicality of the equivalent run-around diesel version. Maintenance costs are not unbearable, and fun is always guaranteed. The last generation RenaultSport Mégane was my favourite car of this kind. I wrote about it many times in these pages, even saying I, in my non-professional racing driver ability, felt this was the car I could tackle a mountain road in faster than in any other car. Why? Because it inspired so much confidence, I always thought I could push it a little bit harder. So I did. And it never let me down. Now there’s a new Mégane with the RS badge on it, but one that is a world apart from the last iteration. 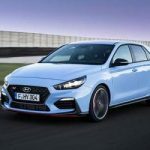 Furthermore, there’s a new Hyundai, a first for the Korean brand, as I explained on these pages two weeks ago, that, strangely (or not) feels more like the old Mégane RS than Renault would have liked. I mean it – the i30N is a fabulous machine, a real driver’s car. A last generation Mégane RS reincarnated. The first thing I noticed when I jumped in the Mégane four days after I drove the Hyundai was how much it didn’t feel like the old car, or the Hyundai for that matter, but a completely new product. And because the i30N had seemed like a Mégane with a Hyundai badge, this was quite a shock to me. This is not evolution, this is revolution. So, what makes the Renault such a different car from its forebear? Well, a lot of things. There’s a new 1.8 litre turbocharged engine, supposed to be smaller and lighter while producing five more horse power than before. Traditionally, it comes mated to a six-speed manual gearbox but, in a decision long-expected, you can also spec a new double-clutch, six speeder auto. There are struts upfront with a newly-designed geometry that retains Renault Sport’s PerfoHub technology, developed to resist torque and bump steer. It also rides 5mm lower than a Mégane GT and has axle tracks widened by 45mm upfront and 30mm at the rear. 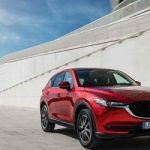 The Sport and Cup options for the suspension remain, while the chassis encompasses a key technical departure that defines the new model: a four-wheel steering system. More on that later. Moving inside, the emphasis goes to the great Alcantara sports seats. Supportive and supremely comfortable, they make for an almost perfect driving position. The steering wheel is also sportier than what you will find in the rest of the range, but the rest is pretty much typical Mégane. With 280 horse power on tap, the Renault always feels fast and I never found myself craving for more power. It corners with ease and signs of understeer are few and far between. Just get the line of the corner right and you pretty much eradicate it completely. The two biggest complaints I have are the positioning of the steering paddles, which are placed way too high, and the intrusiveness of the four-wheel steering system. I could very well live without it and cannot really see the point in adding an artificial flavour to a model that always offered a pure, unaltered driving experience. The fact the press car was an automatic didn’t help proceedings, as I always prefer a hot hatch with a stick shift. The more I drove the Mégane, the more I admired it, but I never fell in love with it. It is an extremely capable car, objectively superior to its predecessor in every measurable element. However, I am not sure I would want to get up at 6am just to go and drive it on empty roads for the sake of it – something I did several times with the last generation. That car had a sense of purpose that defined it to the core and which has now been diluted in a car more suitable than ever for everyday use, but that follows the herd instead of treading new paths. 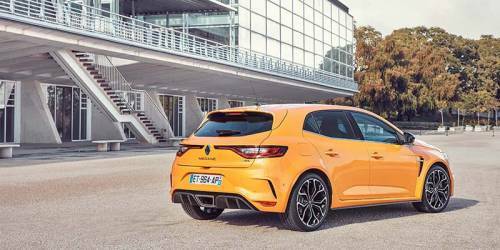 The new Mégane RS is faster, more practical and technologically much more advanced than the car it replaces, emphatically just plain better in every way. The problem is that in creating a more usable, rounded car, Renault has robbed this RS of some of its soul. And that just might have been my favourite thing about it. Without it, I don’t long for my next drive in the Mégane anymore. It is a very, very, capable car. A terrific hot hatch. Anyone who buys one and drives it every day will have made a great decision, but for my money, I’d rather have a Trophy version of the previous model. Five horse power less. A lot more soul. A lot more pleasure.